Mandas Marikanda has passion for financial inclusion for excluded communities such as rural population and disadvantaged groups including women. She has more than 20 years’ experience designing innovative financial interventions such as group savings, implementation of developmental microfinance, innovative lending initiatives She is a seasoned consultant and accredited trainer for ICT/ILO Making Microfinance work. She has been working with women and youths offering practical initiatives for entrepreneurship.Mandas was Managing Director for Pundutso Microfinance (a World Vision partner) and as part of the World Vision fraternity, she undertook various assignments in Malawi, Mozambique, South Africa, Swaziland, Zambia. Mandas is currently a Doctoral Candidate with Calvary University UK. Her study focuses on Microfinance. She is a holder of an MBA with Eastern University of USA and an HRUP (Honours) degree from the University of Zimbabwe. Bright trained and qualified with Ernst & Young in Zimbabwe. At Ernst & Young he audited financial institutions ranging from Commercial Banks, Merchant Banks, Insurance Companies and Pension Funds. He led Audit Teams reporting to the Partner during the assignments. Entities audited include but are not limited to CBZ, Genesis Investment Bank, Renaissance Merchant Bank, AON Minet, Zimnat and Mining Industries Pension Fund. 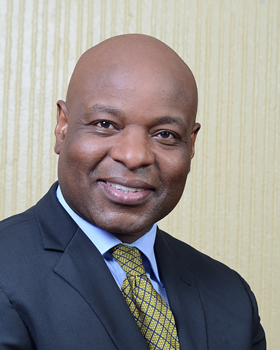 Bright joined Innscor Africa Limited’s Treasury Division which was responsible for managing the Treasury aspects of the Innscor Africa Limited. The Treasury function as well as the Back Office Function exposed Bright to complex Capital Market transactions that involved cross border transactions. Bright joined Agribank as the Finance & Administration Manager with a mandate to assist in turning around the fortunes of loss making branches. He managed to improve the reporting quality of the branches and assisted in making executive decisions that were fundamental to the going concern of the bank. 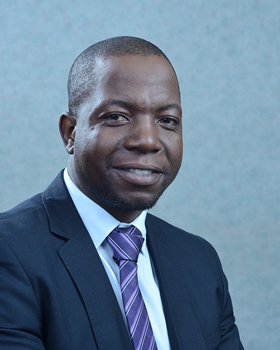 At Agribank Bright was part of the team that worked in tandem with RBZ Bank Monitoring & Supervision team in crafting a capitalization plan as Agribank’s capital was below the set thresholds. At Dawn Properties Limited the technical experience gained was blended with the business and entrepreneurial culture. At Dawn Properties Bright was responsible for the Group Reporting culminating in publishing Audited Financial Statements and complying with the requirements of the Zimbabwe Stock Exchange. Bright engaged with key stakeholders amongst them Shareholders, RBZ, ZIMRA, regional financiers. Bright had an oversight role over the Agriculture Joint Venture that was created to unlock value for the shareholders. Prior to joining ZWMB Bright joined a network of Consultants who have a wide and diverse clientele portfolio. The major thrust was in engaging regional financiers to fund mainly property deal pipelines in Zimbabwe. The clientele ranged from Property Developers, Mining and SMEs. Bright is a qualified Chartered Accountant and a registered member of ICAZ. He holds a B-Compt Honors Degree from UNISA. 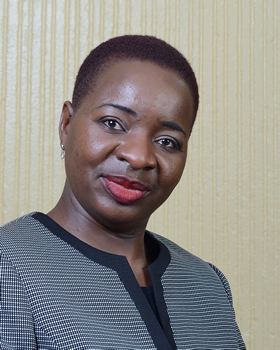 Barbara Muyengwa is a qualified Banker and a seasoned Marketer with over 15 years in the Financial Industry. She has a proven record in the Strategic Marketing , Business Development, Selling and Sales Management, Customer Relationship Management Private Banking and Quality Service Training. She is a holder of Bachelors Administration Degree in Marketing, Institute of Bankers Diploma in Banking, and has a Master’s of Business Administration Degree with Management college of South Africa. A Certified Expert in Microfinance (CEMF) and SME Finance (CESF) by Frankfurt School of Finance and Management in Germany. 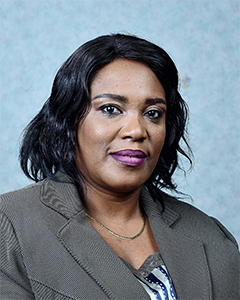 She has more than 15 years’ experience gained in banking (Kingdom Financial Holdings) and microfinance sector covering risk management, MSME financing, debt management and development finance consulting. Axilia is passionate about development finance and has been providing technical assistance to financial institutions including banks and microfinance institutions in their lending strategies, product development, staff training and entrepreneurship training of clients. She holds a Bachelor of Accounting Science (BCompt) degree with University of South Africa (UNISA), ACCA member and is currently studying for a Master of Leadership in Development Finance with Frankfurt School of Finance and Management in Germany. Organizational Development, Human Resource Management, Change Management and Capacity Building and development of HR training materials and tools for demand driven training. She has vast experience in development and reviewing of HR policies and procedures. She is a holder of the Masters in Leadership Studies from Exeter University, Bachelor of Science Honours in Social Sciences (U.Z); Higher Diploma In Human Resources Management. 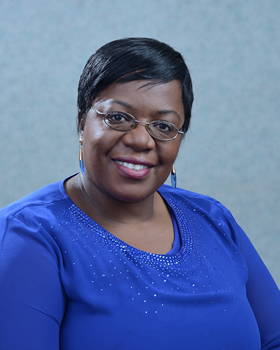 Priscilla is an accomplished risk practitioner with 25 years’ experience in the Zimbabwean Banking Sector. She has proven her worth on both strategic and operational levels with specialist focus on high-level risk assessments, managing and mitigating a plethora of risks in a multiplicity of risk environments. 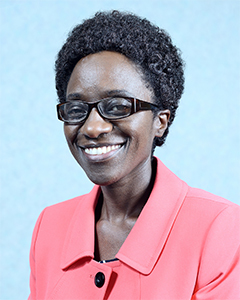 She has worked for h The Reserve Bank of Zimbabwe Bank Supervision and Exchange Control Divisions and Commercial bank. She holds an Economics Degree and an MBA from the University of Zimbabwe as well as other business and professional qualifications. Priscilla is also finalising her studies in Masters in Women’s Law with the University of Zimbabwe. 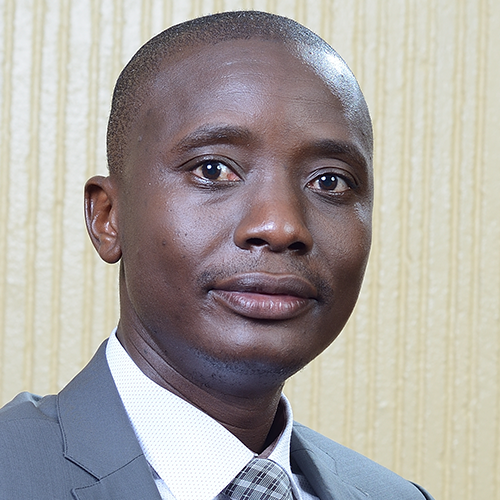 Fungai is a career banker with over 20 years banking and development finance experience. 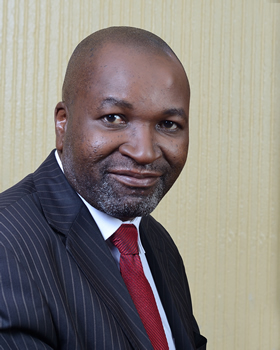 He is an Associate of Institute of Bankers of Zimbabwe and a Member Zimbabwe Institute of Management. 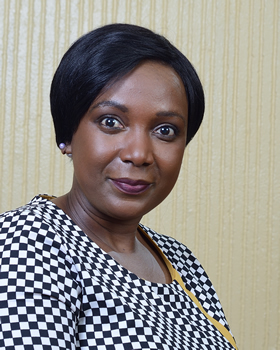 Clara Mukosera is a multi-skilled individual with over 15 years in managerial position. She has acquired an in-depth knowledge in Retail Banking and Banking Operations, business development and operational risk She has gained experience in Retail and Credit strategies to work with Personal, Micro, and SME account holders. She has a degree in Counselling with ZOU, a Diploma Institute of Banking Zimbabwe and a Diploma in Marketing with LCCI. She is currently working on her Masters in Business Administration. 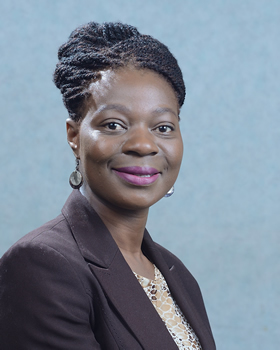 Sitshengisiwe Mahachi is a legal practitioner with over 18 years of experience in company secretarial duties and corporate governance. She holds a Bachelor of Laws (honors) Degree with the University of Zimbabwe. She was in private practice before joining the Ministry of Justice Legal & Parliamentary Affairs where she worked as a Magistrate in both civil and criminal courts. Her passion in Commercial Law led her to work for various organizations as a Legal Advisor, Principal Officer, and Corporate Secretary. 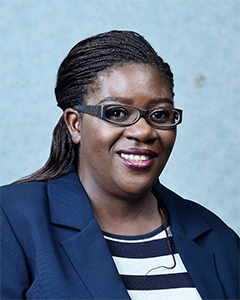 Sitshengisiwe is currently engaged in studies to become a Chartered Secretary.